Gloria Arratia is a biologist interested in macroevolution and the evolutionary history of actinopterygian or “ray-finned” fishes, the largest group of vertebrates today. Gloria Arratia is a student of evolution through morphological, developmental, and molecular analyses of fishes, especially of advanced actinopterygians. My interest include aspects on origin, relationships, and patterns of diversity of teleosts, which are the largest group among vertebrates. Arratia’s current specific projects include the study of new basal and stem teleosts; developmental morphology of cypriniformes and other basal clupeocephalans versus phylogeny; and morphology and molecular phylogeny of some South American fishes. 2013 Arratia, G. Morphology, taxonomy, and phylogeny of Triassic pholidophorid fishes (Actinopterygii, Teleostei). Journal of Vertebrate Paleontology, vol. 33, Suppl. 6, Memoir 13: 1-138, 100 figs, 1 tb. ; Francis and Taylor. 2013 Arratia, G., and H.-P. Schultze. Outstanding features of a new Late Jurassic on current understanding of pachycormiforms. – In Arratia, G., Schultze, H.-P. & M. V. H. Wilson: Mesozoic Fishes 5 - Global Diversity and Evolution: 87-120. Verlag Dr. F. Pfeil, München. 2013 Davis, M. P., G. Arratia,, and T. M. Kaiser. The first Fossil Shellear (Gonorynchiformes: Kneriidae) from the Eocene lake of Mahenge (Tanzania). – In Arratia, G., Schultze, H.-P. & M. V. H. Wilson: Mesozoic Fishes 5 - Global Diversity and Evolution: 325-362, 21 figs., 2 tables. Verlag Dr. F. Pfeil, München. 2013 González-Rodríguez, K. A., H.-P. Schultze, and G. Arratia. Miniature armored teleosts from the Albian-Cenomanian (Cretaceous) of Mexico. In Mesozoic Fishes 5 – Global Diversity and Evolution. Arratia, G., Schultze, H.-P., and Wilson, W.H.V. (eds. ): 457-487, 14 figs. Verlag F. Pfeil, Dr. F. Pfeil, München. 2013 Schultze, H.-P., and G. Arratia. The caudal skeleton of basal teleosts, its conventions, and some of its major evolutionary novelties in a temporal dimension Mesozoic Fishes 5 – Global Diversity and Evolution. In Arratia, G., Schultze, H.-P., and Wilson, W.H.V. (eds. ): 187-246, 24 figs., 4 tbs. Verlag F. Pfeil, München. 2013 Tischlinger, H., and G. Arratia. Ultraviolet light as a tool of investigating Mesozoic fishes with a focus on the ichthyofauna of the Solnhofen Limestone. Mesozoic Fishes 5 – Global Diversity and Evolution. In Arratia, G., Schultze, H.-P., and Wilson, W.H.V. (eds. ): 549-560, 2 figs. Verlag Dr. F. Pfeil, München. 2012 Arratia, G., and H.-P. Schultze. 2012. The macrosemiiform fish companion of the Late Jurassic theropod Juravenator from Schamhaupten, Bavaria, Germany. – Fossil Record 15(1): 5-25, 13 figs. 2011 Arratia, G.: 2011. In Memoriam Professor Joseph Schlieser NELSON (1937-20110. – Cybium 35 (3): 171-172, 1 fig. 2011 Mabee, P., E. Grey, G. Arratia, N.Bogutskaya, A. Boron, M. Coburn, K. Conway, S. He, A. Naseka, N. Rios, A. Simons, J. Szlachciak, and Z. Wang. Gill arch and hyoid arch diversity and cypriniform phylogeny: Distributed integration of morphology and Web-based tools. – Zootaxa 2877: 1-40. 2010 Origin and Phylogenetic Interrelationships of Teleosts. Honoring Gloria Arratia.” - In: J. S. Nelson, H.-P. Schultze and M. V. H. Wilson (eds). 480 pp. Verlag F. Pfeil, München. 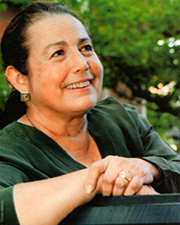 2009 Honorary Professor, University of Chile. 2008 Artedi Lecturer Diploma for outstanding and world-leading contributions in the field of the nature, interrelationships and distribution of fishes (Swedish Academy of Sciences, Fish Base and Museum of Natural History, Stockholm). 2008 Recognition of Outstanding Scientific Trayectory and Contribution to Chilean Paleontology (= Reconocimiento a la Trayectoria). First Symposium of Paleontology in Chile and National Museum of Natural History, Chile. 2007 Robert H. Gibbs Jr.Memorial Award 'for an Outstanding Body of Published Work in Systematic Ichthyology'. American Society of Ichthyology and Herpetology. 2001 Member of the Academy of Sciences of Chile. 2001 Honorary Member. American Society of Ichthyologists and Herpetologists (ASIH); the largest society in the world in the fields of Ichthyology and Herpetology. 2000 Honorary Member. Chilean Society of Ichthyologists. 1994 Humboldt Prize for Senior Researchers. (For contribution to Sciences). A. v. Humboldt Foundation, Bonn. 2013 Arratia, G. Teleostean Morphology in a Temporal Dimension: Reflections on the Evolution of Selected Characters. 2013-Annual Meeting of ASIH. Albuquerque, July, 10-15. Special Symposium: Fishes and Morphology Today. Invited talk. 2013 Arratia, G. Mesozoic Fishes, 20 years after. 6th International Meeting on Mesozoic Fishes, Vienna, August 4-10. Opening conference. 2013 Arratia, G. How much do we know about fin rays, their segmentation and branching processes in advanced actinopterygians? 6th International Meeting on Mesozoic Fishes. Vienna, August 4-10. 2013 Arratia, G. Teleósteos de Aguas Continentales de Chile en el Gran Contexto de Teleostei. X Congreso de la Sociedad de Limnologia de Chile, Concepcion, October 20-14. 2013 Quezada-Romegialli, C., G. Arratia, I. Vila,, and D. Véliz. Sistemática filogenética de la subfamilia Trichomycterinae en Chile: cambios taxonómicos y revalidación de “Trichomycterus” maculatus. X Congreso de la Sociedad de Limnologia de Chile, Concepcion, October 20-14. Abstract online. 2013 Schultze, H.-P., and Arratia, G. Bony Fishes, their Morphology and Complex Evolutionary History: State of the Art. Special Symposium: Fishes and Morphology Today. 2013-Annual Meeting of ASIH. Albuquerque, July, 10-15. Special Symposium: Fishes and Morphology Today. Invited talk. 2013 Schultze, H.-P. and G. Arratia: Bony Fishes, their Morphology and Complex Evolutionary History: State of the Art. A Joint Conference of the “Paläontologische Gesellschaft” and the “Palaeontological Society of China”, Göttingen, Germany, September 23-27. 2011 Arratia, G. Origin and early diversification of Teleostei, the largest clade among vertebrates. IV Latinoamerican Congress of Vertebrate Paleontology, September 21-24, San Juan, Argentina. Ameghiniana 48(4): 225-226. Invited Plenary Talk. 2011 Arratia, G. The role of the south for Crossognathiformes and other basal teleosts, and intercontinental routes in the past. IV Latinoamerican Congress of Vertebrate Paleontology. Invited talk in Symposium of Fishes of Gondwanan Continents. September 21-24, San Juan, Argentina. 2011 Giordano, P. G., and G. Arratia. Ganoid scales of "pholidophoriforms" (Actinopterygii) from La Cantera Formation, Lower Cretaceous, San Luis, Argentina. IV Latinoamerican Congress of Vertebrate Paleontology. 2011 González-Rodríguez, K., V. Bravo-Cuevas, and G. Arratia. About the outstanding fish faunas of the Muhi Quarry (Albian-Cenomanian) of Mexico. IV Latinoamerican Congress of Vertebrate Paleontology, September 21-24, San Juan, Argentina. Invited talk in Symposium of Fishes of Gondwanan Continents.